Day 8 – Come up with a new use for something you would normally discard. I love my colored pencils. I usually sketch out a painting project so I have a road map of sorts before I get started. 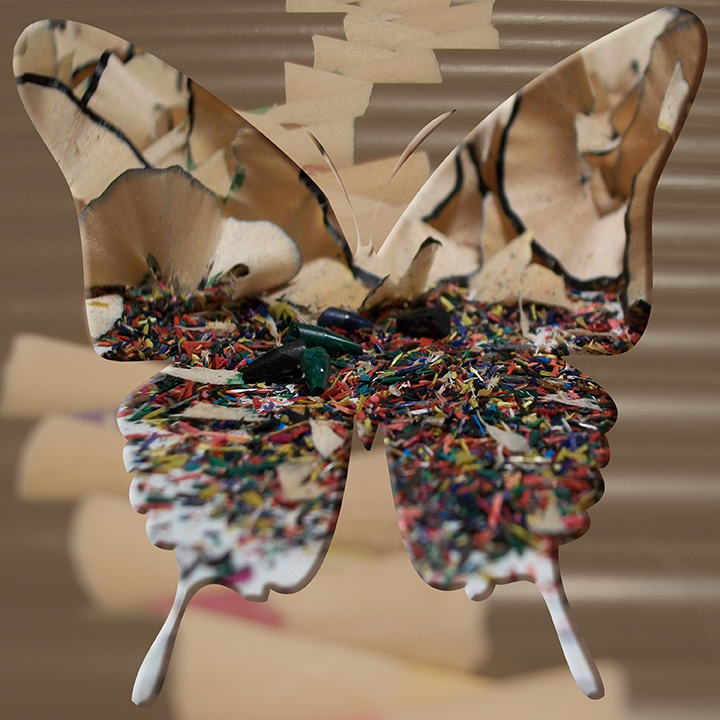 So, I have lots of pencil shavings and decided to incorporate them into today’s challenge.